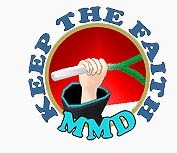 MMD won’t run. I get missing DLL file error statements. When I load MME, MikuMikuDance crashes. My MMD cannot render to AVI. MMD failed to load. Thanks for your help. I got the 64 bit version and it has the MME tab but now it doesn’t load MMD., saying it failed to load the files. I don’t know what is wrong because a have a lenova yoga laptop that should have a good video card. I also have a new problem. MMD won’t render anything over 6000 frames, do you know why. Can you run that by me again… … You got the 64-bit version of MMD … and it has the MME in the upper right corner… and now… ?? … MMD will not load… it DID load… and now it will not? … what error message do you get?… the wording of that message. I have 64bit MMD. I got the 64 bit version of MME v037 as you suggested. When I load MMD up, enough of it loads so that I can see the MMEffect tab, but then an error box for MME pops up saying, and I quote, “Initialize Error: failed to load default effect file. Please check video card capability”. I don’t know what is wrong because I have a really modern laptop so there shouldn’t be a problem with my video card as far as I know. Sorry if you didn’t get everything. I quickly put everything down because I have only been using MMD for 4 weeks and was really disappointed when MME didn’t work. Okay… I haven’t seen that particular error before… Maybe try the regular 32-bit MME?? … or a combo of the 32-bit MMD and 32-bit MME?? I don’t think you HAVE to run 64-bit MMD on your 64-bit computer. That latest version of MME, v037, was released so as to be compatible with the latest version of MMD …MMD 9.31 and MMD 9.31×64 … so I know that MME v037 Does work. Let me know what happens… I can ask others of our writers if you still have issues. When I first got MMD, I got the 32 bit version and it wouldn’t run because of a dll issue that I couldn’t fix even with a dll fixer. I’ve tried running the 32 bit MME with my 64 bit MMD and the same problem has occurred. The MMEffect tab appers but MMD won’t load properly. I don’t know if my video card has actually got a problem but at the moment I think it might have since the same error message with both 32 and 64 bit MME. Please ask some of you other writers if it’s ok with them. I don’t want to force you guys to help me. Thanks again. You’ve been really helpful so far. A DLL fixer… … Have you tried downloading our old DirectX 9c update… from the LearnMMD.com/downloads Downloads page? … there are old DLL files in there that MMD “needs”. … If you download and install our old DirectX update, your system may remind you that you already have a newer version of DirectX installed… Continue? … “Yes”… go ahead and add this older version…then try your MMD/MME again. It worked! And MME also now works without causing it to crash! Doing a Google search for particular missing DLLS will not solve your problem. DirectX is a “system” that requires a network of interrelated DLL files… if you are missing one, you are probably missing a handful of them. The web is full of scams offering to fix your DLL error in exchange for your looking at all of their ads… don’t fall for it. Newer machines come with newer versions of DirectX which may not include the MMD-required “old” DLLs. Downloading and installing the DirectX 9c update offered from the LearnMMD.com Downloads page may well be the solution to MANY of your MMD running and setup problems. As mentioned, above… when you try to install the old DirectX 9c, your computer may pop-up a warning that you already HAVE a newer version of DirectX installed. Click “OK to Continue”, or whatever is the correct response, to go ahead and install this older version of DirectX. Hi! I have the latest version of MMD, it was fine but today it does not open anymore, I have directx 12 the system and 64 bit windows 10. can anyone help me? my sister (also her directx 12 windows 10 64 bit) instead, has a problem with mmdxshow.dll tried to replace the file and even re-released MMD but it did not work. can only publish images but no videos …. what should you do? You have to *install* DirectX 9.0c. Follow instructions. There are two links to DirectX in the Downloads page. One of them should work even on Windows 10. It did download, but MMD still crashes when the MME files are in the same folder as MMD. I honestly don’t know what I’m doing wrong. It seems to work eventually for everyone else. Is there any certain file I’m supposed to put the DirectX stuff in? HI, i don’t know if you are replying to this but i’ve tried to render my work to avi file and it said ‘mmdxshow–>dll’ not in ‘data’. please download a new version of mmd’ I’ve tried useyour tutorioals and also youtube but nothing worked. what is the problem? You will want to download that old Direct X 9c… even if your computer complains that you already have a newer version. MMD needs a couple of those old DLL’s… Also… you say Windows 10 “Device” … MMD can run on a desktop or a laptop… don’t know if it can run on another device. If that link doesn`t work I don`t know what will work, sorry. Also I don`t reccomend the Surface pro for MMD, because I am afraid it will lagg out very quickly. Even my high-end gaming machine is lagging on MMD. (I5 4670K @4.2 GHz and an AMD R9 280X) So I think MMD would lagg for sure on the Surface pro. I read your page and some of the comments, there, about your “0xc000007b” error… that’s a complicated problem, outside any MikuMikuDance question/answer. Google search it, just search for 0xc000007b and see the many possible causes and the “so many” possible cures. I DO get asked about this 0xc000007b error, from time to time: you are not alone. … but I have no answer for you. … on the OTHER side, Please let me know if you find a solution that I can share with others on LearnMMD! Hi! I am having major horrible problem with the mme effect. It keeps giving me this error that says ‘Failed To Load Default Effect File Please check your video Card Capability’ I don’t know how to fix it. I tried dling all types of mme effect but nothing seems to work. Even if i dl the dx thing i already have the correct version nothing works. And I dl’d vredicst. But It still wont work. I need help badly. … there are many responses to look at.